We Hope Rihanna Isn’t Getting Stupes Again! People Magazine reported yesterday (Thursday) morning that Rihanna and Chris Brown would be sitting together last night at Game 4 of the NBA Finals in Orlando. When game time arrived sure enough they were both there – but sitting far apart. How unusual that both should end up at the same game, and that it should be reported in the press beforehand. Then again, Tiger Woods, Chris Tucker and Hulk Hogan also attended the game so its not as if its unknown to have multiple celebrities at an NBA Final. What happened? 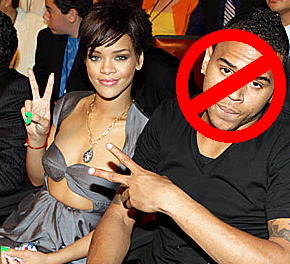 Did Rihanna and Chris Brown initially intend to sit together and then change their minds after the publicity? I hope that Rihanna hasn’t decided to “forgive and forget” after the famous incident last February when it is alleged that Brown beat her and left her by the side of the road. Rihanna has been subpoenaed to testify against Chris Brown at his June 22, 2009 preliminary hearing on assault charges. We’re in a battle here to save the last natural area on the south of our island. The Government and their land developer friends want to turn the Graeme Hall wetlands into a row of highrise condos, golf course and water park. This is the last Mangrove Forest on the island! Please help raise awareness around the world. 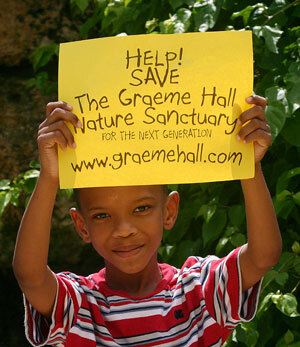 You can also help by joining the Facebook Group: Save The Graeme Hall Nature Sanctuary. The Barbados Chamber of Commerce & Industry (BCCI) has just signed an Memorandum of Understanding (MOU) with the Barbados Youth Business Trust (BYBT). This MOU will serve to streamline networking plans and events between the BCCI and BYBT, who share a common mandate. BYBT is a 12 year old NGO youth entrepreneurship development organisation. The Trust is a registered charity helping young men and women, ages 18-35, who are unable to get start-up capital from existing commercial institutions, friends and families. The BYBT focuses on start-up loan capital, business mentoring, business affiliated grants and ongoing and consistent business and social support. The Chamber is one of Barbados’ oldest NGO’s, a voluntary non-profit organisation with over 200 companies counted in its membership. It is the focal point for companies and businesses to network and improve cooperation – and provides one strong voice to raise members’ concerns with government and the public.